As part of a unique nonproliferation agreement with Russia, the US is building a mixed oxide fuel production plant in South Carolina to downblend 34 tonnes of weapons grade plutonium with uranium oxide (U308) to make it into mixed oxide fuel (MOX). The Russians are disposing of a similar tonnage of plutonium immobilizing their surplus stockpile through down blending so that it can never be used in nuclear weapons. 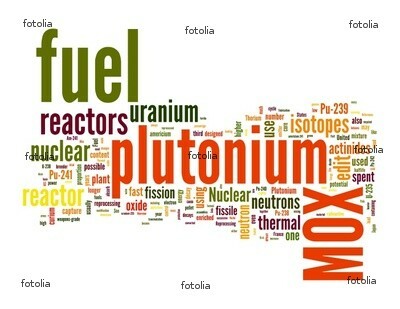 In the US the MOX fuel will be fabricated to be the equivalent of commercial uranium based fuel enriched to 5% U235. The estimated production run by the US MOX plant over 20 years will be the equivalent of 1700 PWR type fuel assemblies although the MOX plant will also produce some BWR assemblies. US utilities including Duke, TVA, and Energy Northwest have expressed interest, but no commitments will be made, until the Department of Energy (DOE) can guarantee reliable delivery of the MOX fuel consistent with fuel outage schedules. Up to a third of a PWR reactor core can be assigned to MOX fuel. According to the World Nuclear Association, in 2006 about 180 tonnes of MOX fuel was loaded into over 30 reactors (mostly PWR) in Europe. Anti-nuclear groups like the Union of Concerned Scientists (UCS) have vigorously opposed the plant from the beginning. Some anti-nuclear groups have circulated red herrings about the potential use of MOX fuel in TVA’s nuclear reactors. According to nuclear scientist Jim Conca, opponents of MOX fuel argue the fuel is dangerous, the government has no customers for it, we should stop all nuclear power anyway, or the project will cost more than estimated. Conca lists the reasons why the anti-nuclear case falls short. The fuel is not dangerous. MOX has been used in dozens of reactors for decades and many more reactors are being planned to use it as it is one of the recycled products of spent fuel. There’s plenty of customers for this fuel, and the point is to get rid of nuclear weapons that use plutonium, not make a buck, although that could happen as an added prize. Nuclear power is essential for any future sustainable energy mix if we care at all about lowering carbon emissions. What has the Department of Energy has going, from MOX plant supporters, and its critics, is an uproar over two wildly different estimates of what it will take to complete the plant. Earlier this year DOE commissioned an independent assessment by the California based Aerospace Corp. which came to the conclusion that it would take another $30 billion to complete the project, on top of the $4.5 billion spent so far. CBI-Areva, the contractor building the MOX plant has cried “foul” saying the cost to finish the plant, which is about two-thirds complete, is just a 10th of that number or $3.3 billion. CBI-Areva says that the Aerospace Corp. report grossly overstates risks and costs. It hired its own independent assessment firm, High Bridge Associates, who wrote a report that came to startlingly different findings. (Executive summary). The identification and analysis of risk issues and contingency impacts identified for Option 1 MOX Fuel and Option 4 Downblend is flawed. MOX risk elements and resulting impact costs appear to be overstated and inconsistent while Downblend elements are clearly understated. The programmatic risks associated with abandoning MOX Fuel and transitioning to Downblend are enormous and are not addressed, either qualitatively or quantitatively. The values presented related to the costs associated with finishing construction of the main MOX building and associated costs, such as transportation and fuel testing costs, lacked visibility, formal discussion, and back up. Escalation indices applied by Aerospace for capital costs were higher than industry guidance and escalation for MOX construction-to-complete duplicated what the PWG had already calculated. 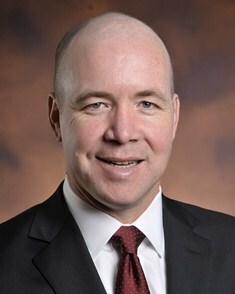 The Aerospace Report referenced the potential for revenue generation from the sale of MOX fuel elements but provided no analysis or credit to offset lifecycle costs. Further, the Aerospace report provides no mention or analysis of value for the generation of clean/non carbon emitting electric energy, or of the GNP and federal tax revenue value related to electricity generation sales. On July 18 Pete Hanlon, the DOE NNSA man in charge of the MOX project, met with a nuclear energy advisory committee chartered by South Carolina governor Nikki Haley. He told the group DOE will now convene its own “red team” to review both reports. Members of the committee echoed some of the sharp criticisms from Highbridge of the Aerospace report in their comments to Hanlon. He responded, according to Aiken Standard, that the MOX plant remains DOE’s preferred option for disposition of the surplus plutonium as part of the agreement with Russia. Hanlon is no stranger to high stakes decision making having been a Captain in the US Navy of a nuclear powered submarine – the USS Louisiana (SSBN-743). He later served as the Military Assistant to the Assistant Secretary of Defense for International Security Policy so he knows his way around an international agreement with the Russians over disposition of surplus plutonium. That said he got an earful from the nuclear committee. According to the Aiken Standard report, James Little, a member of the advisory council, told Hanlon the risks Aerospace studied should not be related to fuel production rates or other technological aspects, but rather getting the facility built on time and on schedule. Karen Patterson, who chairs the committee, reportedly pushed Hanlon to commit the resources the project needs to be finished according to its schedule. She said that DOE is providing only half the money it needs, $500M/year, to move ahead with construction. Hanlon replied that the funding level is set by Congress. The committee obviously felt DOE could do more to be an advocate to finish building the plant which CBI-Areva says could be completed in about five years. Political problems may also play a role in the Obama administration’s reluctance to be an advocate for the project. These considerations play out way above NNSA’s floor at DOE. The conservative politics of the State of South Carolina present a stiff challenge to successful advocacy for the project with a Democratic president. According to the newspaper, the South Carolina Republican joined Rep. Robert Brady, (D-PA), in submitting a letter to Ernest Moniz, the Department of Energy secretary. The letter question’s DOE selection of the Aerospace Corp. to conduct a congressionally mandated study on alternatives to constructing the Mixed Oxide Fuel Fabrication Facility. Brady and Wilson both serve on the House Armed Services Committee which sets policy for DOD and NNSA programs. The two also charged that Aerospace provides engineering support for a program intended to extend the lifetime of a nuclear weapon for an additional 20 to 30 years, according to the National Nuclear Security Administration (NNSA). Wilson and Brady wrote that funding for the program could see a boost if funds for MOX funds are redirected. Rep. Wilson’s political problem as an advocate for a multi-billion dollar project in his district is that in 2009 he interrupted President Obama’s State of the Union (SOTU) address by calling out “you lie” as the President was talking about his health care program. While Tea Party type politics have had their day in Washington, DC, what its supporters have failed to remember is that the nation’s capital is a realm which follows the paradigm of rewarding friends and punishing enemies. Mr. Wilson may not have the friends he needs to support the completion of the construction of plant. On the Senate side, US Senator Lindsey Graham (R-SC) serves on the Senate Appropriations Committee which is where the MOX plant’s funding level will be decided as part of DOE’s funding bill. Graham is no friend of the Obama administration, but he’s not a SOTU heckler either. Advocates for the MOX plant, including South Carolina Gov. Haley, might get more traction working through Graham’s office. DOE’s so-called Red Team, which will review both the Aerospace and the High Bridge reports, is due to make its findings known in mid-August. Congress will likely be in recess by that time which will surely postpone consideration of the cost issues until they return. But it’s not just a decision that affects South Carolina or DOE’s budget. There are international commitments at stake. Despite tensions in Europe and elsewhere with Russia, that country has agreed to dispose of its 34 tonnes of weapons-grade plutonium by conversion to MOX fuel. It will be burned in the BN-600 and BN-800 fast reactors at the Beloyarsk nuclear plant. The USA agreed to contribute $400 million to the project.